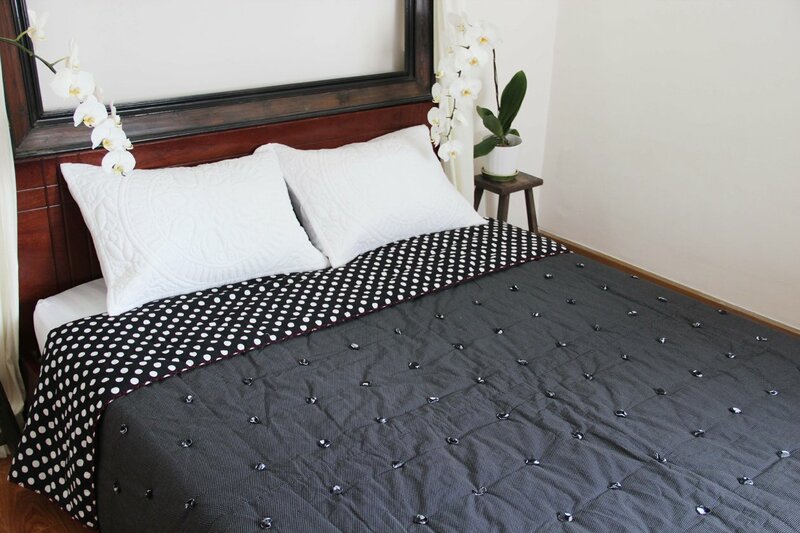 Hand crafted by our women artisans in rural Vietnam and Cambodia, this quilt features nuanced detail to create a modern and sophisticated design. 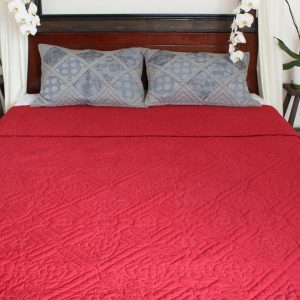 The quilt is made of 100% cotton with a fine check pattern. 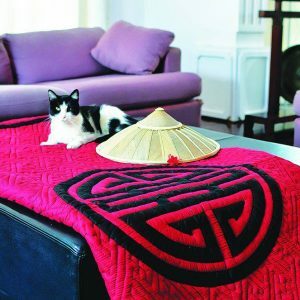 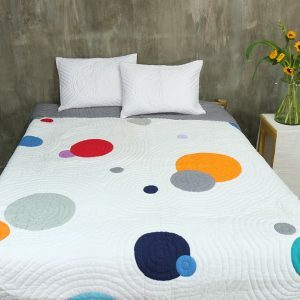 It features evenly spaced circle appliqués stitched together using pinpoint stitching. 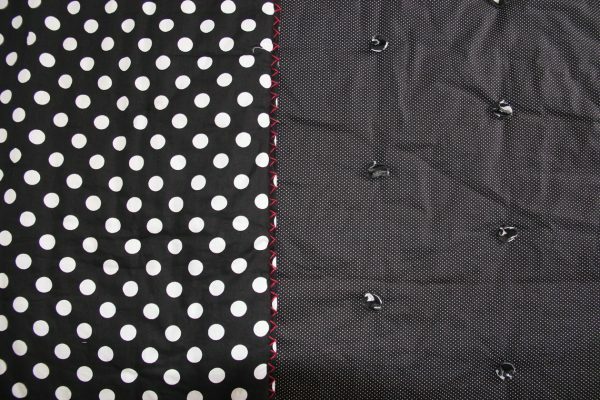 The backing is simply one fabric in a complementary colour and pattern in 100% cotton. 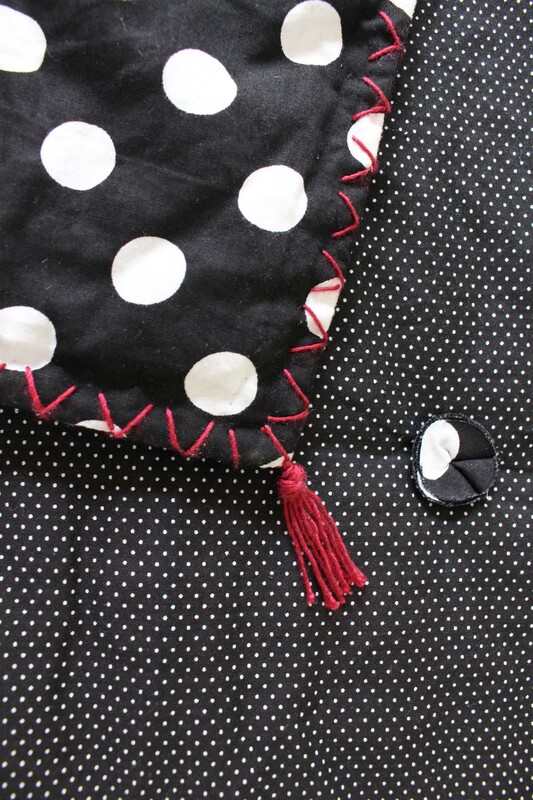 The quilt edges utilizes a cross-stitch pattern in contrast coloured thread and finished with small tassels on each corner. 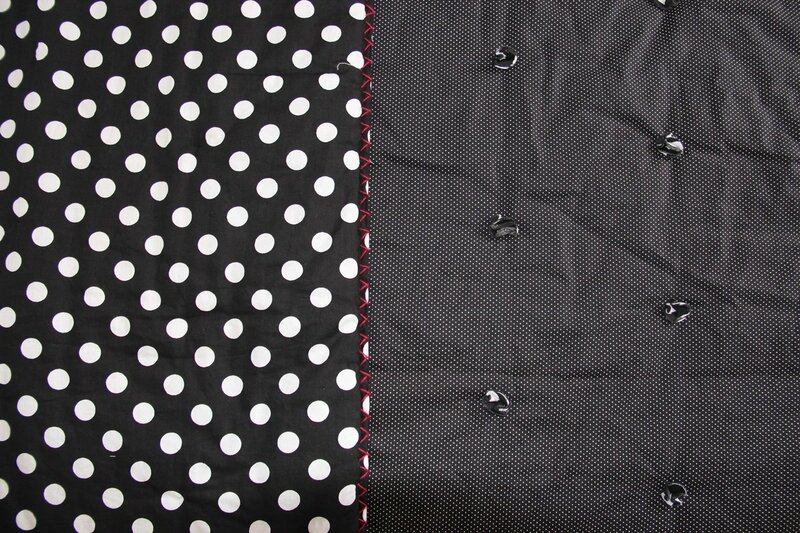 Between the layers is a filling of polyester batting for warmth and comfort. 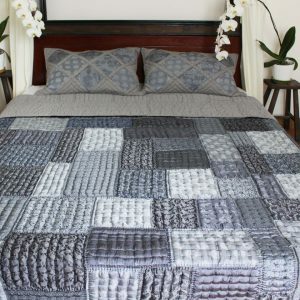 The layers are hand-stitched together to prevent shifting and to keep the layers secure for the long life of the quilt. 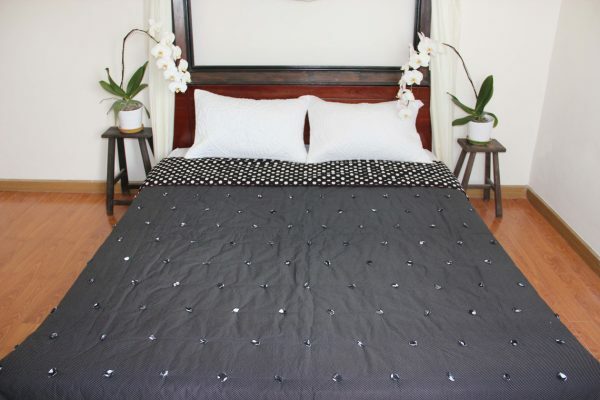 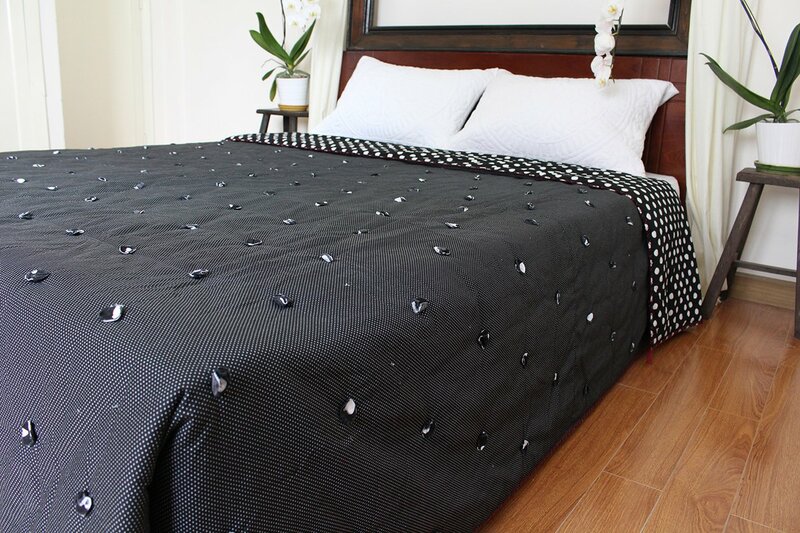 Typically a double bed quilt takes about 4 weeks of precise and careful hand-work. Mekong+ is proud to provide sustainable and rewarding employment to about 300 women who have roughly doubled their income, allowing them to stay close to their children.